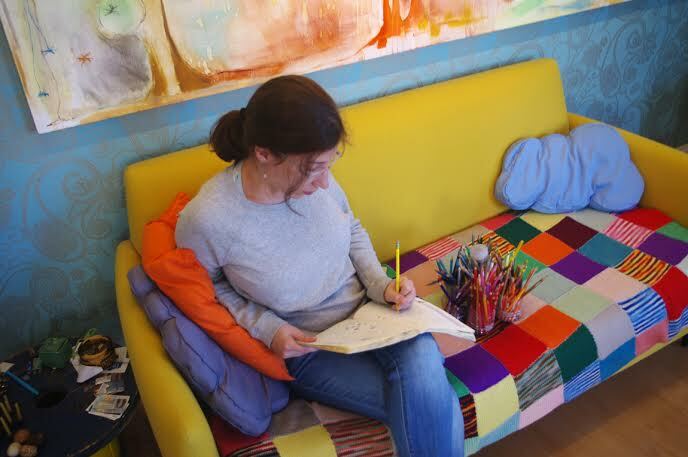 Clara working in her sketchbook. 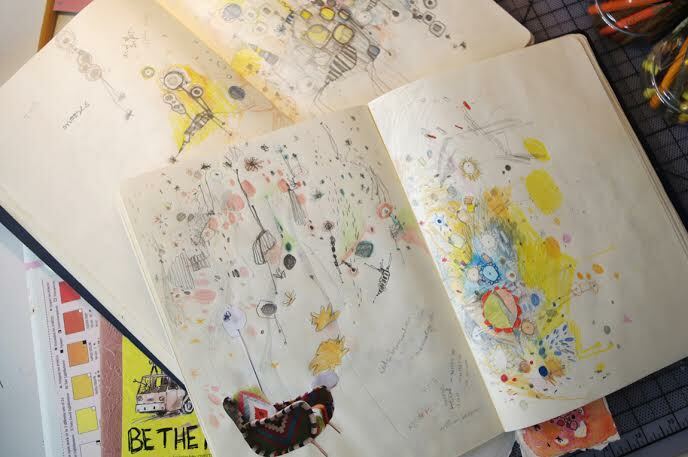 A closer look inside Clara's sketchbooks. 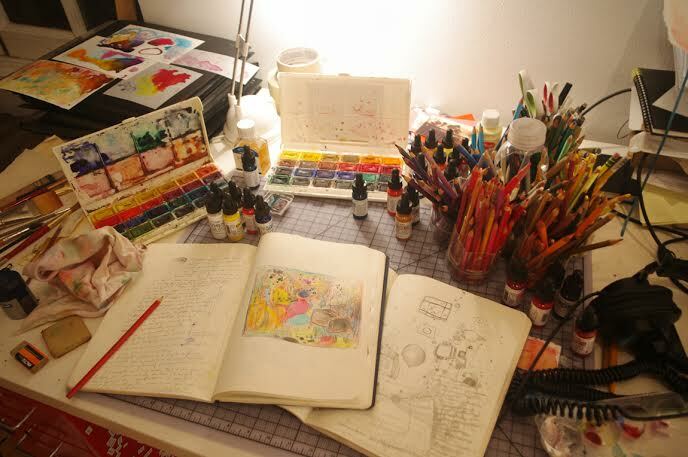 Clara's desk, with her sketchbooks and artist's materials. 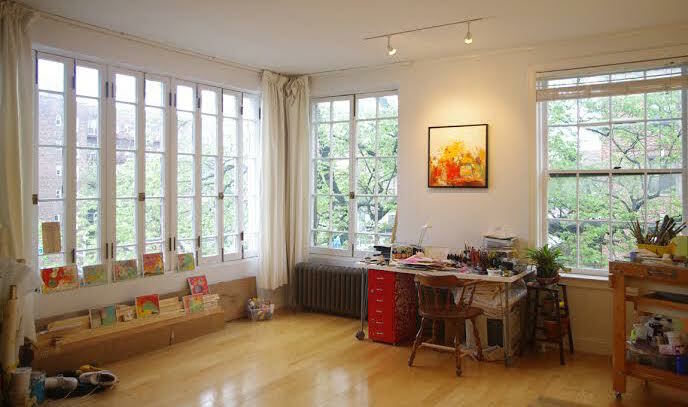 Clara's beautiful and airy studio. 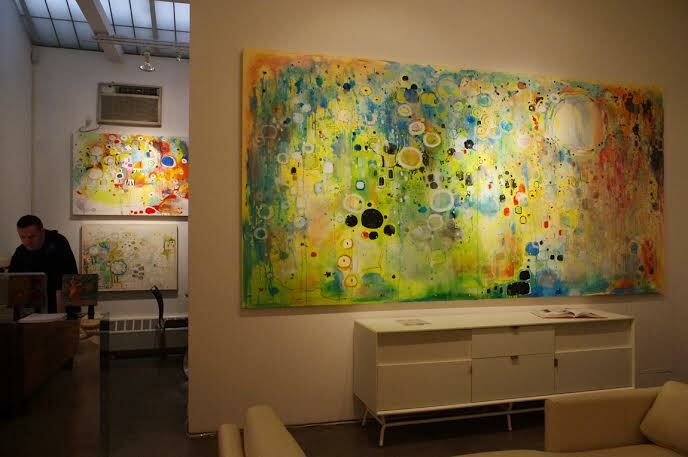 Exhibition at Tria Gallery in Chelsea, New York City. 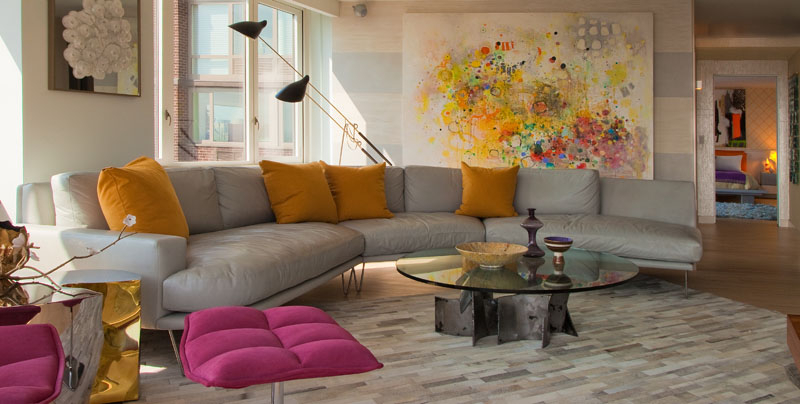 Project by Andrew Suvalsky Designs. 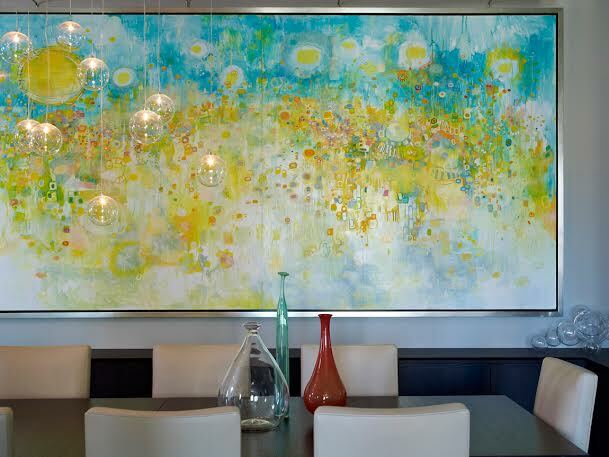 Project by Bella Mancini Design. Clara Fialho was born in Porto Alegre, Brazil, in 1984, and currently lives in New York City. 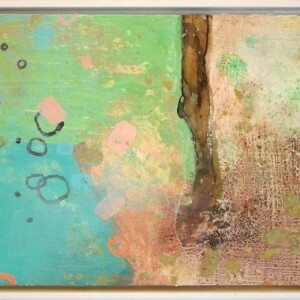 She received her BFA from The Cooper Union for the Advancement of Science and Art in 2006. 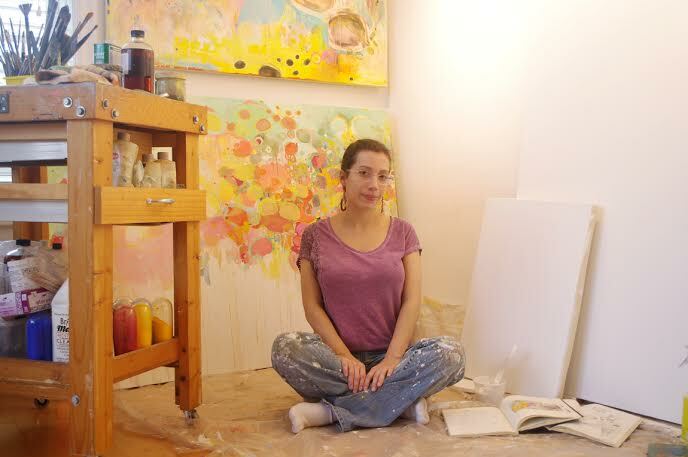 She has exhibited extensively in group, two-person, and solo shows, including NYC’s Merge Gallery and Tria Gallery. 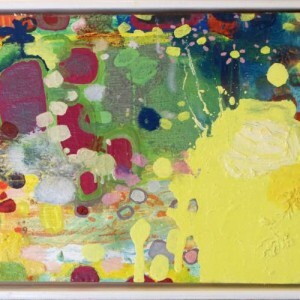 Clara’s abstracted artworks combine sumptuous colors with circular and simple shapes. 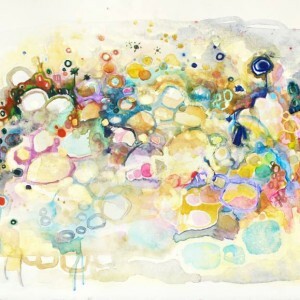 Her joyous compositions range in size from petite watercolors and drawings, to colossal canvases that overwhelm the viewer with their inherent beauty. 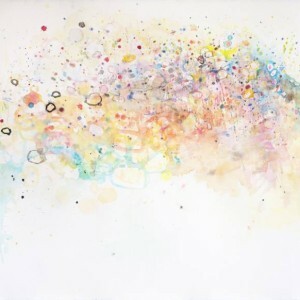 The unconscious, impermanence, relationships, unity, the universe, nature, dreams, and love. Movement is important in my work, and I always need music for that to happen. 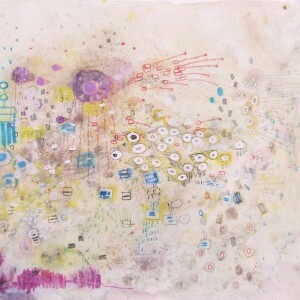 If I had to live with only one piece of art, it would be a gorgeous drawing my little sister made for me. I wouldn’t trade it for any famous piece. I would say Jorge Luis Borges and Carl Jung.